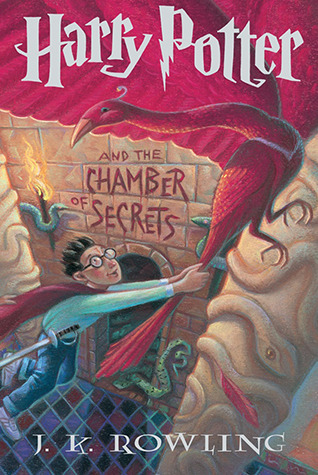 For this weeks From Page To Screen, I have decided to cover Harry Potter and the Chamber of Secrets by J.K. Rowling. Now for a bit of back story in case some of you aren't familiar with the novel. Harry Potter and the Chamber of Secrets is a novel written by author J.K. Rowling. The book was originally released June 2, 1999 by Scholastic (June 2,1998 by Bloomsbury in the U.K.). Harry Potter and the Chamber of Secrets follows Harry's second year at Hogwart's School of Witchcraft and Wizardry. Upon release Harry Potter and the Chamber of Secrets shot to the top of many bestseller lists and was met with widespread critical acclaim. J.K. Rowling found writing Harry Potter and the Chamber of Secrets difficult because she wasn't sure a follow up would live up to the success of the first book. First edition printings of Harry Potter and the Chamber of Secrets contain several errors such as Dumbledore getting Voldemort's lineage wrong and Gilderoy Lockheart's book on Werewolve's being mistitled. Harry Potter- A 12 year old boy in his 2nd year at Hogwarts. Even though Harry was famous before he even knew he was a wizard, He steers clear of special treatment, flattery, and praise. Harry strives to live a normal wizard's life even amongst the chaos his life as The Boy Who Lived brings. Harry is very loyal to Dumbledore and also his friends. He also is courageous which sometimes leads him into difficult situations. In case some of you aren't familiar with the movie, here is a bit of back story. Harry Potter and the Chamber of Secrets was directed by Chris Columbus and was released November 15, 2002 by Warner Bros. Pictures. 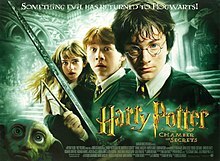 Harry Potter and the Chamber of Secrets cost $100 million to make and went on to make $879 million worldwide earning Harry Potter and the Chamber of Secrets the title for 28th highest grossing film of all time. While praise was generally positive many critics complained the movie was too long and faithful to the book. Harry Potter and the Chamber of Secrets is also the last film with Richard Harris as Dumbledore he sadly passed away shortly after the films completion. Dobby drops pudding on the floor and it splashes all over Harry. Dobby drops a cake on Mrs. Masons head. The Weasley's are seen degnoming their yard. This doesn't happen. While Harry is trying to escape into Rons car all the Dursley are seen hanging out the window trying to stop him. Only Mr. Dursley is seen trying to prevent Harry from leaving. Mr. Dursley is unsuccessful and falls into the flower bed below. Mr. Dursley pays a contractor to put bars on Harry's bedroom window. Mr. Dursley installs them himself while goading Harry. Harry is locked in his room for weeks and is starving when rescued by Ron. Harry has only been locked in his room one day when Ron arrives. Ron conjures a spell that backfires. He is seen spitting up many slugs into a barrel wearing street clothes. Ron is seen spitting up slugs into a barrel wearing his school robe. Also the amount of slugs he spits up is considerably less. Hedwig brings Harry a note reminding him not to do magic over the summer. Unfortunately for Harry, Mr. Dursley finds it. This is omitted. When Harry,Ron and Hermione drink the polyjuice potion they are all seen in different stalls. When the group drinks the polyjuice potion together they are in the same stall. Crabbe and Goyle find cakes on a banister left by Harry, Ron and Hermione to knock them out. Crabbe and Goyle pluck the cakes out of midair and eat them. Sir Nicholas has a deathday party and ask Ron, Hermione and Harry to attend. This is omitted. Harry overhears a conversation with Lucius and Draco at Borgin and Burkes. This is omitted (though was filmed and can be seen on the DVD). Arthur Weasley and Lucius Malfoy get into a fight in Flourish and Blotts. Lucius and Arthur are only seen have a very tense but brief exchange in Flourish and Blotts. The above mentioned are the major differences I noticed when the book was translated From Page To Screen. Which however do I prefer? As lovely as the film is I believe the book is a bit better. Harry's time with the Dursley's really is much worse in the book and I think the film doesn't really portray his situation as being unbearable. However, I do believe Dumbledore is better onscreen. Richard Harris will always remain Dumbledore in my heart and is who I see in my head even to this day when I reread the books. 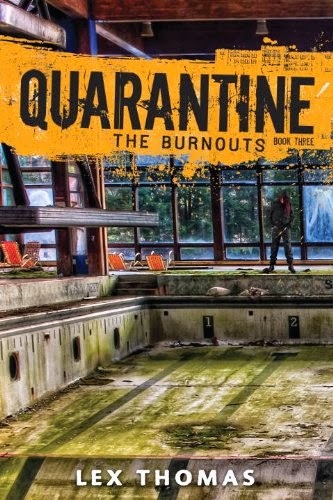 Definitely check out the book if you haven't already and by all means see the film as well. _____________________________________________ Well that about wraps up this weeks From Page To Screen. Have a recommendation for an upcoming From Page To Screen, let me know in the comments below! Have you read the book or watched the film? Which did you like better? Why? What is your favorite quote or scene from Harry Potter and the Chamber of Secrets? I completely agree with the book being better. It always frustrates me to see bits missing in films but I still enjoy them. Ditto on Richard Harris too, Michael Gambon is much too harsh too be the perfect Dumbledore. Yes I completely agree, I've never warmed to Michael Gambon as Dumbledore.